“We are the seventh country to orbit the Moon, and the fourth to reach the moon’s surface, and it’s a tremendous achievement up to now,” Doron said. “If at first you don’t succeed, you try again,” said Israeli prime minister Benjamin Netanyahu, who observed the landing attempt from the control center. Netanyahu said Israel could try to another moon landing mission in two years. Beresheet began its descent at an altitude of about 15 miles (25 kilometers), roughly 500 miles (800 kilometers) from its targeted landing site, a few hundred kilometers from the location where the Apollo 15 astronauts landed in 1971. The lander first switched on its laser landing sensors, which were designed to feed data about the craft’s altitude and descent rate to a guidance computer responsible for commanding firings of Beresheet’s main engine to control its speed. Then Beresheet began pulsing its eight small control thrusters to get into the correct orientation to slow its speed and fall toward the moon, with its main engine facing in the direction of travel parallel to the lunar surface. Beresheet’s main engine was a 100-pound-thrust (400-newton) LEROS 2b engine built by Nammo, formerly Moog, in the United Kingdom. The hydrazine-fueled engine was a modified version of a thruster typically used by large communications satellites. But the engine had never been used for a landing on another planetary body, and engineers updated the engine’s design to allow for multiple “hot restarts,” when the lander will fire the engine in quick bursts to control its descent rate. The engine couldn’t be throttled to adjust Beresheet’s speed. Other changes to the engine included shortening its nozzle to ensure it could fit into the Beresheet spacecraft and keep the thruster from hitting the Moon’s surface. Nammo also made the engine more powerful for Beresheet by increasing its thrust. 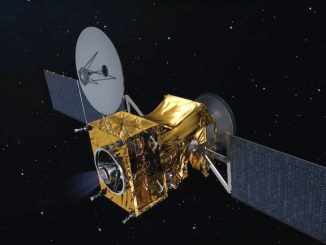 Data transmitted back to Earth from the spacecraft showed Beresheet started slowing its speed above the moon from roughly 3,800 mph (1.7 kilometers per second) around 1911 GMT (3:11 p.m. EDT). If the spacecraft performed as expected, Beresheet should have reached a horizontal velocity of zero at an altitude of about 3,300 feet (1 kilometer). Beresheet would have then pitched over and started a vertical descent. After settling on the surface on its four landing legs, Beresheet was to take a series of pictures, including images for a panorama to show the probe’s surroundings. The lander was also be programmed to record a series of images during the landing sequence to create a video of the descent. Beresheet’s sole active science instrument was a magnetometer developed by the Weizmann Institute of Science in Israel to measure the magnetism of lunar rocks. 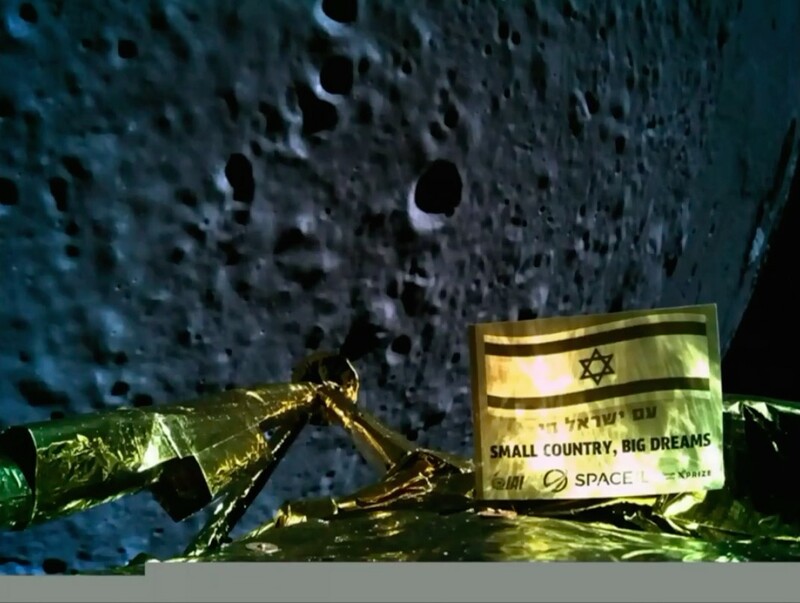 Beresheet, which means “genesis” or “in the beginning” in Hebrew, was aiming to become the first privately-funded spacecraft to land on another planetary body. The mission was developed for around $100 million by SpaceIL, a non-profit organization founded in 2011 by three young Israeli engineers. 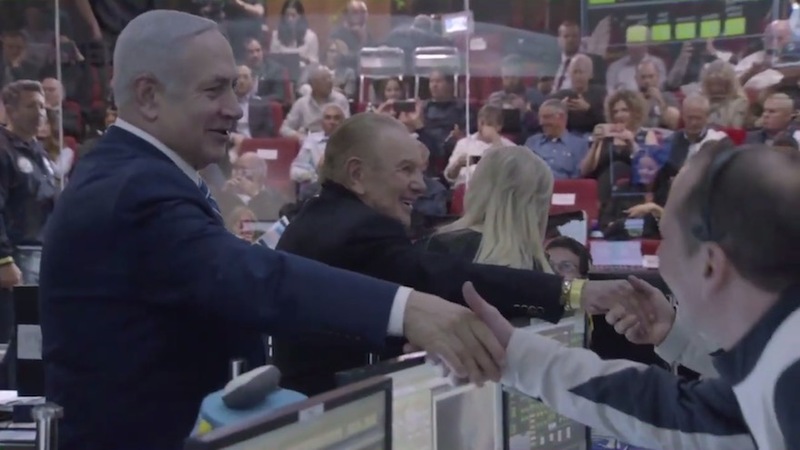 Despite the probe’s failure, officials from NASA and the commercial space industry congratulated the Beresheet team for their achievement in getting the spacecraft so close to landing. “While NASA regrets the end of the SpaceIL mission without a successful lunar landing of the Beresheet lander, we congratulate SpaceIL, the Israel Aerospace Industries and the state of Israel on the incredible accomplishment of sending the first privately funded mission into lunar orbit,” NASA Administrator Jim Bridenstine said in a statement. Zurbuchen said he will travel to Israel later this year for discussions on future cooperation on lunar missions. NASA provided a laser retroreflector and communications and tracking support for the Beresheet mission. SpaceIL was founded to pursue the Google Lunar X Prize, which promised $20 million grand prize for the first team to land a privately-funded spacecraft on the moon, return high-definition imagery, and demonstrate mobility on the lunar surface. Kahn, a South African-born Israeli businessman, was the mission’s largest single contributor. Other donors included Miriam and Sheldon Adelson, a casino and resort magnate who lives in Las Vegas. IAI, the lander’s prime contractor, also invested some of its own internal research and development money into the program. 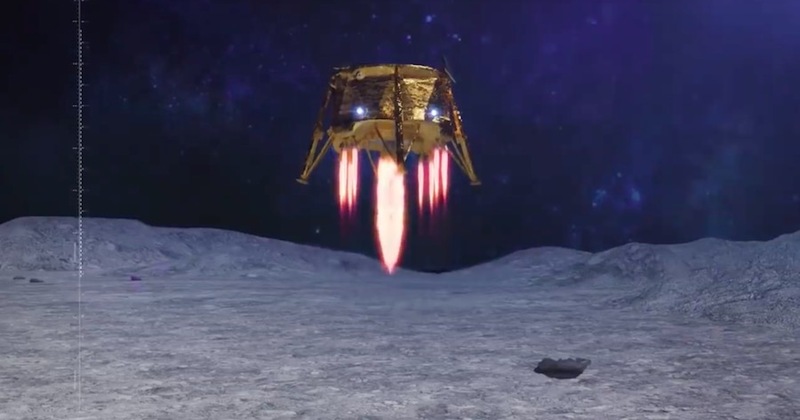 The X Prize Foundation, which organized the original Google Lunar X Prize competition, announced March 28 that it would offer a $1 million “Moonshot Award” to SpaceIL if the Beresheet mission successfully landed on the moon. “They managed to touch the surface of the Moon, and that’s what we were looking for for our Moonshot Award,” said Anousheh Ansari, CEO of the X Prize Foundation. “Besides touching the surface of the Moon, they touched the lives and the hearts of an entire nation, the entire world,” Diamandis said. “These prizes are not easy, and frankly, space is not easy, not yet,” Diamandis said. A European spacecraft cruising toward Mars fired its main engine, tweaking its trajectory and helping set up for carefully-choreographed simultaneous maneuvers to place part of the tandem mission into orbit around the red planet and deposit a stationary battery-powered lander on the Martian surface. 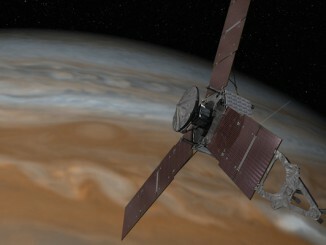 NASA’s Juno spacecraft bound for a rendezvous with Jupiter in July has set a record as the most distant solar-powered space probe ever flown. NASA’s Cassini spacecraft spied details on the pockmarked surface of Saturn’s moon Prometheus (86 kilometres, or 53 miles across) during a moderately close flyby on 6 December 2015. 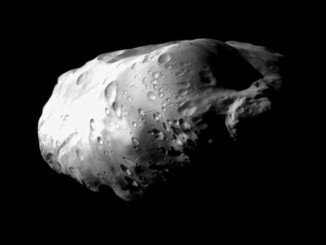 This is one of Cassini’s highest resolution views of Prometheus, a moon which orbits Saturn just interior to the narrow F ring, which is seen here at top.